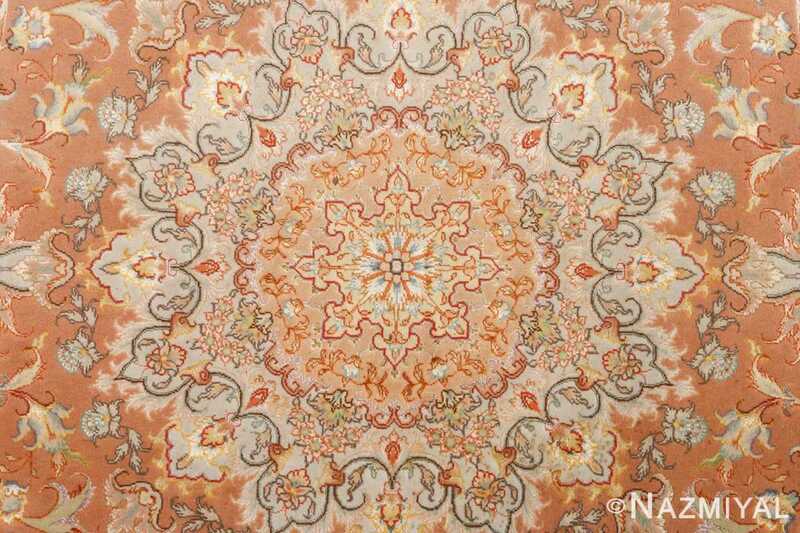 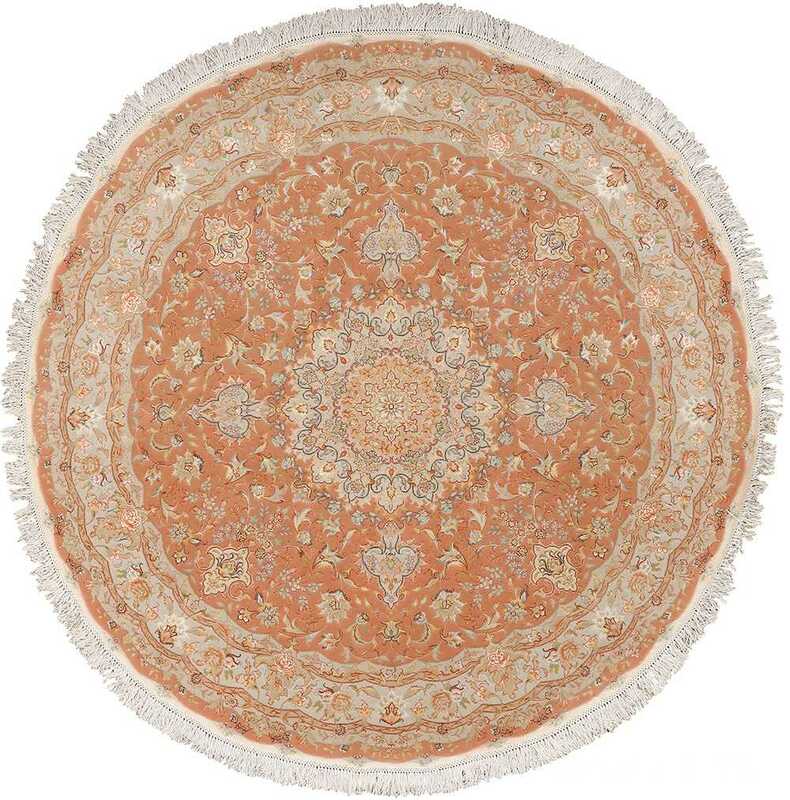 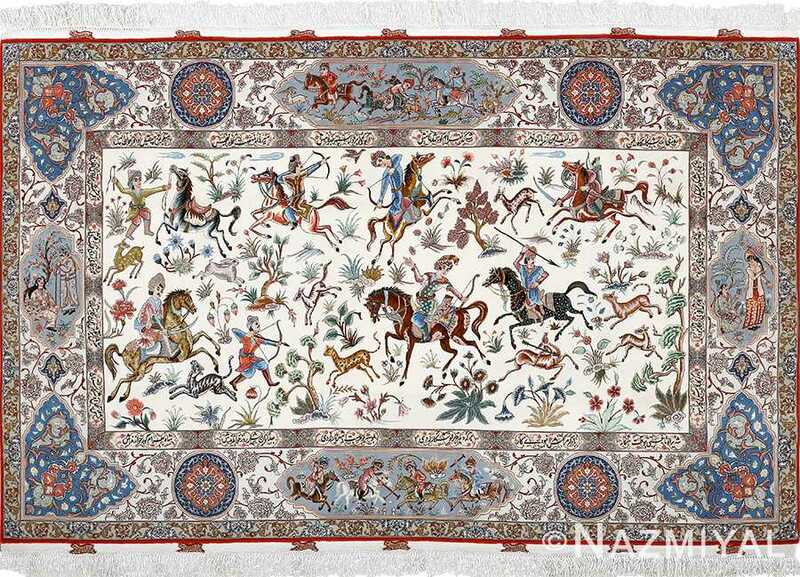 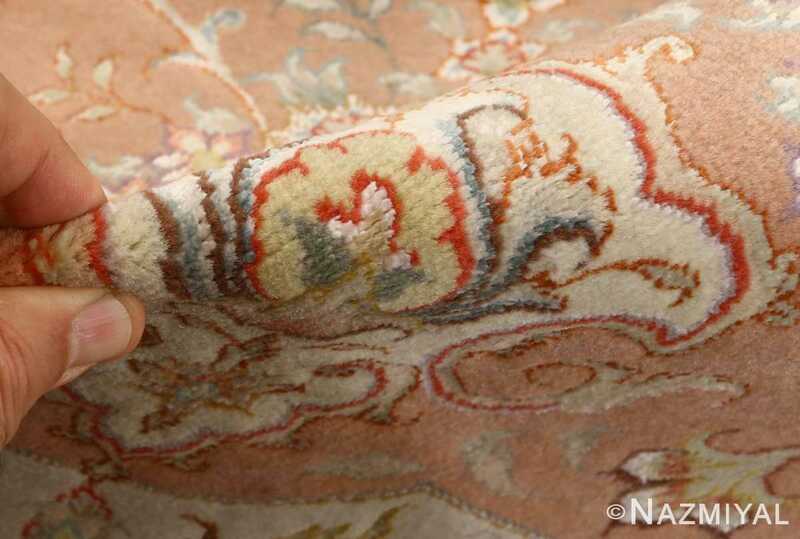 Beautiful Round Vintage Tabriz Persian Rug 51134, Knots Per Square Inch KPSI: 500, Country of Origin / Rug Type: Vintage Persian Rug, Circa Date: Late 20th Century– Warm, terracotta tones help define the landscape, establishing an almost nostalgic feeling to the colors and themes. 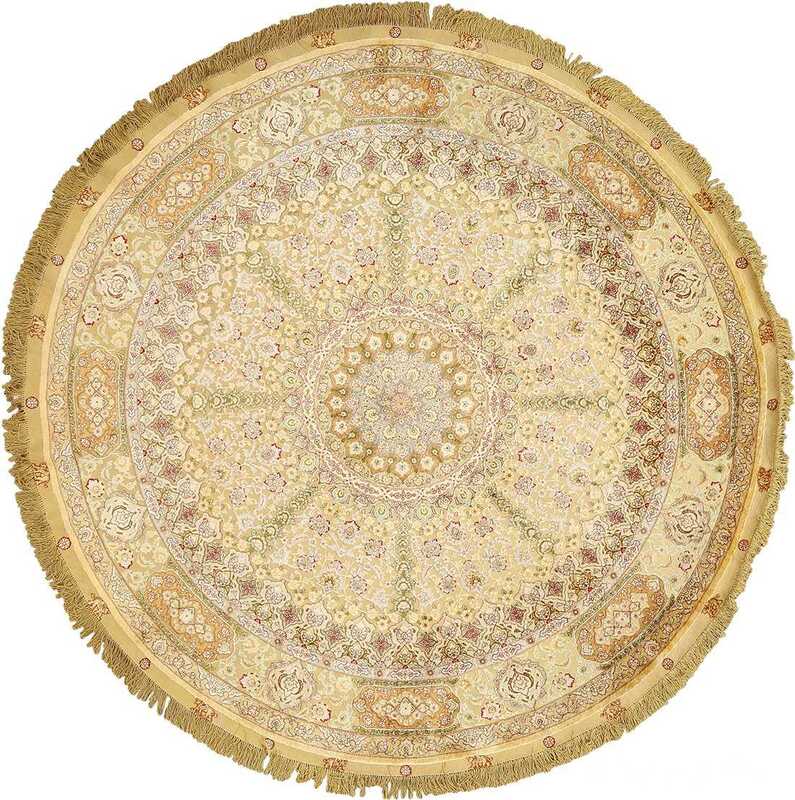 Like many exquisite vintage Persian rugs, this vintage Persian Tabriz rug uses the round circular shapes to its advantage, creating a whimsy of shapes and motions that entice the viewer and draw their attention inward. 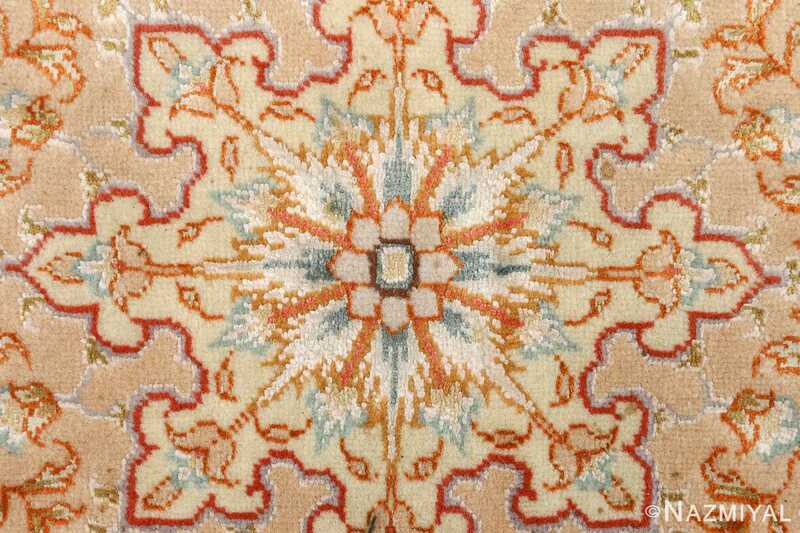 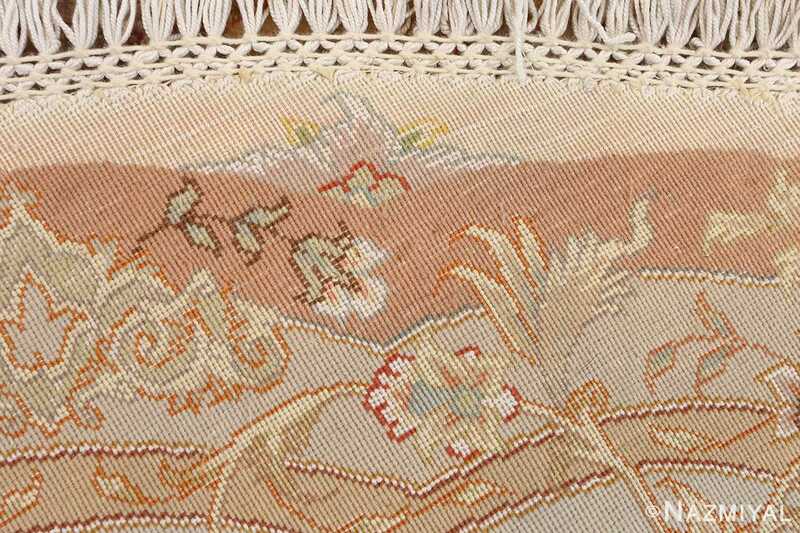 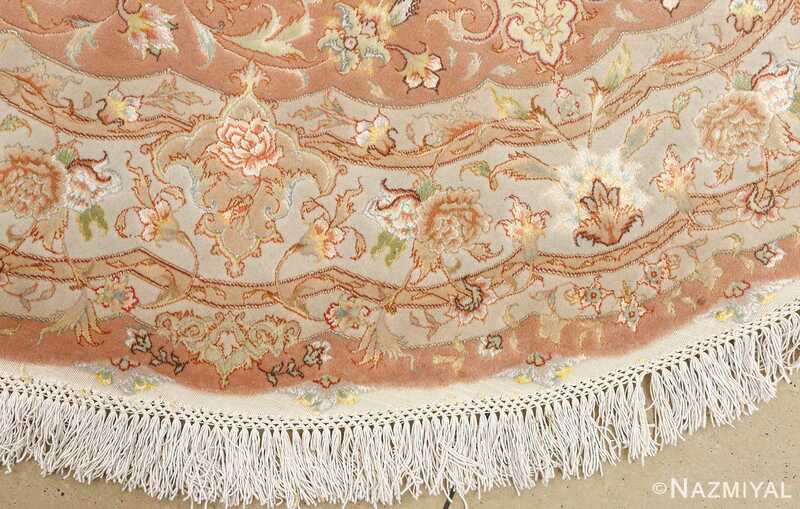 Though there are few rigid lines to ground the motifs at the forefront of the rug, the strong use of bordering establishes a sense of land marking to guide the viewer’s attention to the very heart of the finely woven round rug. 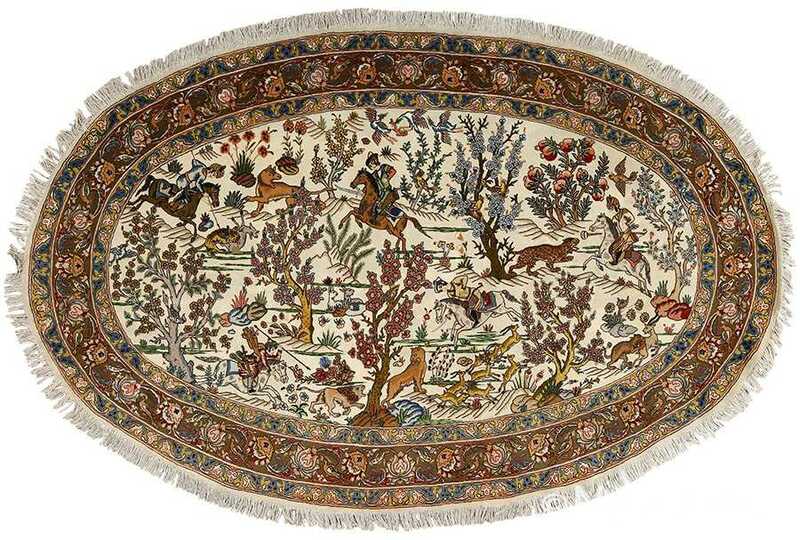 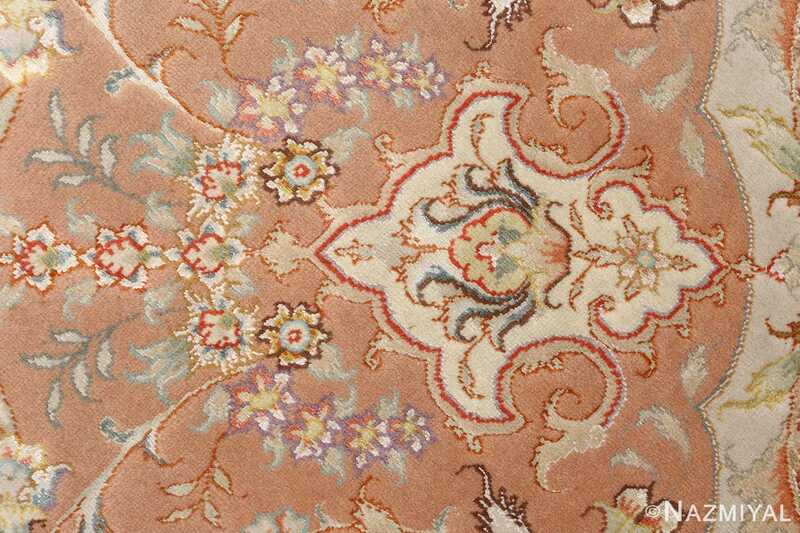 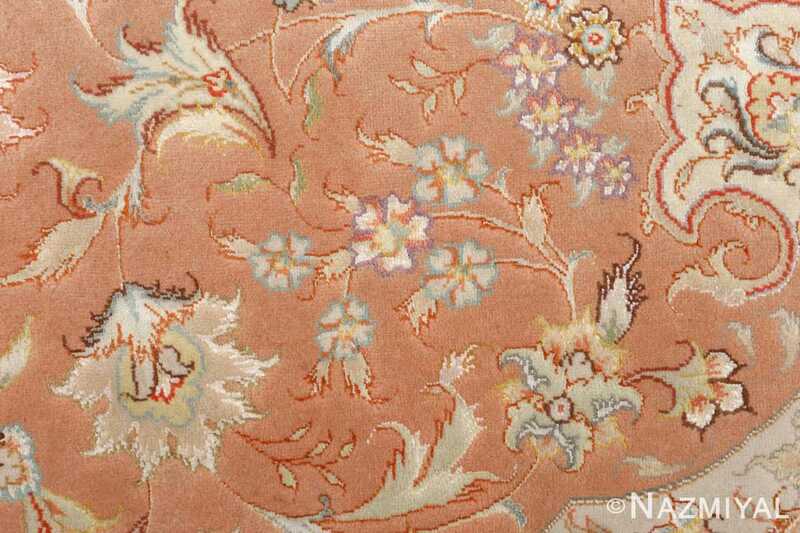 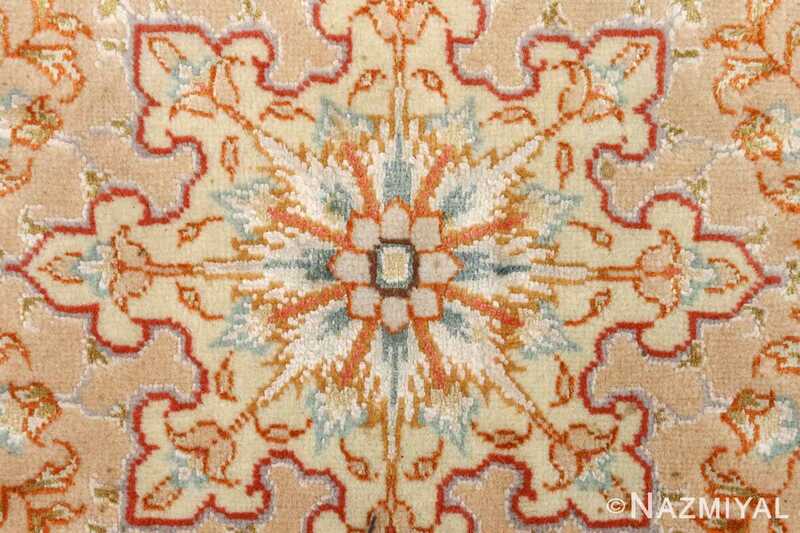 Here, in this beautiful vintage rug, several fronds and blossoms dominate the core in a series of symmetrical arrangements, the largest motifs surrounded by a multitude of smaller ones.